Alan L. Spurgeon is Professor of Music Education and Director of Graduate Studies in Music at the University of Mississippi where he teaches graduate research courses and supervises dissertations and thesis projects. He holds a bachelors degree in music education from Truman State University in Missouri, an MM in music education from the University of Arkansas, and a Ph.D. in music education from the University of Oklahoma where he studied with Melvin Platt and Roger Rideout. After teaching public school music for seven years in Missouri, Kansas, and Arkansas, he taught eighteen years at Southwestern Oklahoma State University. He is now in his seventeenth year at Ole Miss. He is the author of various research articles on the history of music education in the United States and has also done considerable study in Anglo-American folk music. 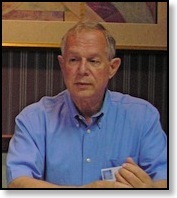 He is the author of Waltz the Hall: the American Play Party published in 2005. 2014 - Dr. Mark Fonder (Professor of Music, Ithaca College) is the conductor of the Ithaca College Concert Band and has been teaching conducting and instrumental music education courses at Ithaca College since 1989. From 1994 to 2003, he was the Chairman of the Music Education Department. He is active as a guest conductor, adjudicator, school music consultant, and clinician and has served in these capacities throughout the United States. Internationally, he has guest conducted, given research presentations or adjudicated bands in Australia, Japan, Canada, China, Singapore, Taiwan, throughout the Euro zone and the United Kingdom. Dr. Fonder, a graduate of and twice a fellowship recipient at the University of Illinois, was director of bands at Park Falls (Wisconsin) High School and was on the faculties of the University of Wisconsin-Green Bay and University of Texas-San Antonio prior to coming to New York. He has also served on the faculties of The University of Washington, VanderCook College and the Eastman School of Music. Dr. Fonder authored an award-winning book, Patrick Conway and his Famous Band (Meredith Publications, 2012) and his research (over 30 articles) has been published in various journals including the Music Educators Journal, Winds, Band Directors Guide, Instrumentalist, Journal of Band Research, Council for Research in Music Education and the Journal of Research in Music Education. He was chair of the Music Educators Journal Editorial Committee from 1998-2002 and has edited the Journal of Historical Research in Music Education since 2003. Dr. Fonder has played principal trombone with the Green Bay (Wisconsin) Symphony, the Green Bay Packer Band, and the San Antonio Brass, and for such entertainers as Robert Goulet, Rich Little, and Rita Moreno. In 1987, Dr. Fonder was awarded the National Band Association-Wisconsin Chapter Citation of Excellence, in 1998, the Ithaca College President's Recognition Award, in 2013, the Ithaca College Faculty Excellence Award and has been the recipient of a University of Wisconsin teaching fellowship. He has been elected to Phi Delta Kappa, an honorary education fraternity, Phi Kappa Phi, an honorary scholars fraternity, Pi Kappa Lambda, an honorary music fraternity and the prestigious American Bandmasters Association. 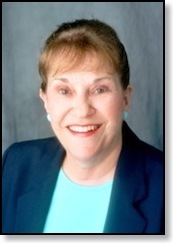 2012 - Dr. Terese Volk Tuohey (Associate Professor Emeritus, Wayne State University, Detroit, MI) taught instrumental music (band and orchestra) in the Buffalo, NY public schools for 26 years. Her “second career” bought her to Detroit, MI and Wayne State University. During her 13 years at Wayne State University, Detroit, MI, she has taught both graduate and undergraduate music education courses. She was also the Instrumental Music Education coordinator of field experiences for pre- student teaching, and student teaching. 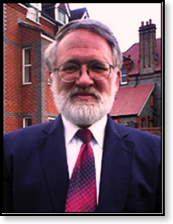 Dr. Volk Tuohey is the author of Music, Education, and Multiculturalism (Oxford University Press, 1998) and co-author of World On A String (Alfred Music Publishing, 2002). Her publications also include articles in the Journal Of Research in Music Education, Journal of Historical Research in Music Education, Music Education International, and several state journals. As Research Chair for the Michigan Music Education Association, she instituted a Research Symposium in coordination with the Michigan State Music Education Conference, and authored a regular column on research in the state journal the Michigan Music Educator. She continues to serve as a member of the Editorial Board for Journal of Historical Research in Music Education and Music Education International. As a researcher and clinician, she has presented papers at regional, national and international music education conferences. In her clinics and workshops, she combines her experience as a music educator with her interest in historical research and ethnomusicology. Dr. Volk Tuohey’s most recent work has been focused on the music education projects of the WPA/Federal Music Project, and on community music education as exemplified through workers songbooks, union bands and corporate performing ensembles. 2010 - Jere Humphreys, professor of music at Arizona State University (ASU), is one of the most prolific scholars in his field with more than 140 publications and reprints in six languages. He is a Fulbright Senior Scholar (2002) and a Fulbright Senior Specialist (2010). He received the prestigious NAfME Senior Researcher Award from the National Association for Music Education (NAfME) (2006) and an NAfME Citation of Excellence in Research (1985). He is the contributing editor for music education for the New Grove Dictionary of American Music (2nd ed.) and a section editor for the Oxford Handbook of Music Education, both forthcoming from Oxford University Press. He has served as editor of the Journal of Historical Research in Music Education and on the editorial committees of thirteen national and international journals. He has been a reviewer for the National Endowment for the Humanities and the Social Sciences and Humanities Research Council of Canada, a research team member for the European Union, and a consultant for the National Endowment for the Arts. Humphreys is a versatile researcher and teacher who applies historical, quantitative, philosophical, and sociological research methods to music education and arts business. He has had an extensive international career of lecturing, consulting, and presenting in 29 countries on six continents and more than half the North American states and provinces, including a dozen major/keynote speeches. He has advised 31 doctoral dissertations and two master’s theses, several of which won university or national awards; and he has served as a dissertation and thesis advisor, committee member, and reviewer for institutions in Australia, Eastern and Western Europe, and North and South America. He has served as a visiting professor in several universities and countries, an endowed chair resident at the University of Alabama, an academic specialist for the U.S. Information Agency, and is currently an instructor and research advisor in the Native American Educational Leadership (Ed.D.) program in the ASU Graduate School of Education. He has been nominated for ASU Professor of the Year, ASU Distinguished Mentor of Women, and ASU College of Fine Arts Distinguished Teacher of the Year awards. 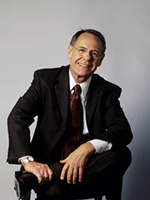 Humphreys has served as a university accreditation evaluator in Canada, and has held leadership positions in the College Music Society (Advisory Committee for Music Education), Fulbright Association Arizona Chapter (Board of Directors), Greek Society for Music Education (Scientific Advisor), International Society for Music Education (Financial Advisory Committee), NAfME (Hall of Fame Board, Executive Committees for Research and for Teacher Education, National Chair of History Special Research Interest Group, Chair of NAfME Centennial History Symposium), and other organizations. He has served on/chaired numerous personnel/grievance and curriculum committees, including several at the university level, and he is faculty advisor for the ASU Habitat for Humanity Campus Chapter. Outside of academia Humphreys serves on the Board of Directors for the American Civil Liberties Union of Arizona. For over a decade he was a construction house leader and fundraiser for Habitat for Humanity (HFH). He participated in Jimmy & Rosalynn Carter blitz builds in the U.S. and a Global Village build in Northern Ireland, and he continues to serve on the Assembly and Board of Directors for HFH Macedonia, an award-winning affiliate he co-founded in 2002. In 2008 he was nominated for the ASU Woodside Sustained Community Service Annual Award. A native of Tennessee, Humphreys holds a B.M. in music education from the University of Mississippi, an M.M. in clarinet performance from Florida State University, and a Ph.D. in music education from the University of Michigan. Before moving to ASU in 1987 he taught at West Virginia University and Huntingdon College (Montgomery, Alabama), in the Mississippi public schools, and served in the U.S. Army National Guard. For more information, including a curriculum vitae, see www.public.asu.edu/~aajth. 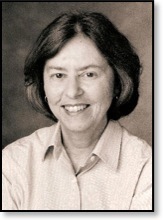 2008 - Marie McCarthy is Professor of Music Education at the University of Michigan. She completed her undergraduate education at Mary Immaculate College, Limerick, and University College Dublin, Ireland, and received master's and doctoral degrees from the University of Michigan. She was a recipient of a Fulbright Scholarship and an Outstanding Dissertation Award from the Council for Research in Music Education. Prior to her present position, she taught at the University of Maryland from 1990 to 2006. She teaches courses on general music, music cultures in the classroom, and research methods in music education. She has written numerous articles for such publications as the Journal of Historical Research in Music Education, International Journal of Music Education, Journal of Aesthetic Education, Journal of Research in Music Education, and Research Studies in Music Education. Her publications also include two books, Passing It On: The Transmission of Music in Irish Culture, and Toward a Global Community: A History of the International Society for Music Education, 1953-2003. McCarthy served as Research Chair of the Maryland Music Educators Association, 1991-2001, was National Chair of the NAfME History Special Research Interest Group, 1998-2000, and is currently Chair of the History Standing Committee of the International Society for Music Education. She serves on the editorial boards of many journals, among them Research Studies in Music Education, Action, Criticism and Theory for Music Education, and the Journal of Historical Research in Music Education. She was Section Editor and contributor to the New Handbook of Research on Music Teaching and Learning (2002). As Editor of the State-of-the-Arts Series at the University of Maryland, she coordinated the publication of the proceedings of the biennial Charles Fowler Colloquium in Arts Education from 1993 to 2003. With Bruce D. Wilson, she co-edited a Special Issue of the Journal of Historical Research in Music Education in honor of Allen P. Britton, and co-edited the proceedings of the sesquicentennial celebration of music in American public education, Music in American Schools, 1838-1988. 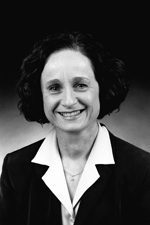 2006 - Carolyn Livingston has taught graduate and undergraduate courses at the University of Rhode Island since 1987. She was Coordinator of Music Education from 1989-1997 and Director of Graduate Studies in Music from 1997-2006. Dr. Livingston's primary research interest is history of music education. Presented with the History SRIG's Biennial Service Award in 2006 for "outstanding service and research," she is one of four history researchers invited to present separate sessions commemorating the one hundredth anniversary of NAfME at the 60 th National Biennial In-Service Conference held in Salt Lake City , Utah in April 2006. She was chair of NAfME's History Special Research Interest Group (SRIG) and editor of the national newsletter, History Notes, from 2000-2002. Dr. Livingston has been an invited presenter for History SRIG sessions at four NAfME national conferences and presented papers at Philosophy of Music Education International Symposia II, III and IV.A member of the editorial committees of the Journal of Research in Music Education (JRME) and the Journal of Historical Research in Music Education (JHRME), her articles have appeared in numerous professional journals, including JRME, JHRME, Bulletin of Historical Research in Music Education, Philosophy of Music Education Review, Music Educators Journal, Update, Quarterly Journal of Music Teaching and Learning, American Music Teacher, Choral Journal, Opera Journal, British Music, Rhode Island Music Educators Record, and Tennessee Musician. She is the author of Charles Faulkner Bryan: His Life and Music, published by the University of Tennessee Press. Dr. William Lee is a Professor of Music and Coordinator of the Music Education Program at The University of Tennessee Chattanooga. Dr. Lee has taught brass lessons, Secondary Music Education, Tests and Measurements, Research Methods, History and Philosophy of Music Education, the Psychology of Music, and directed student teaching and graduate theses in the Department. Prior to joining the music faculty, he was a successful high school and middle school band director and has conducted community orchestras and choirs in Chattanooga. 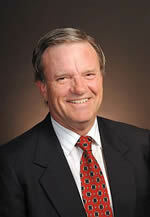 He is Research Chair of the Tennessee Music Education Association. Dr. Lee is deeply interested in the history of music education. He has served as Chair of the History Special Research Interest Group of the NAfME and received the HSRIG national special service award in 2004. His service has included membership on the boards of the Journal of Research in Music Education and the Journal of Historical Research in Music Education. He has reviewed historical work for the Quarterly Journal of the History of Education and Oxford University Press and has published in the Dictionary of the History of Education. Further, he has published in such diverse journal and magazines as The Music Educators Journal, The Journal of Band Research, The Tennessee Musician, The Journal of Church Music, The Journal of Research in Music Education, and many others. 2002 - Sondra Wieland Howe is an independent scholar in Wayzata, Minnesota. She received an A.B. in music history from Wellesley College, A.M.T. in music education from Radcliffe College (Harvard Graduate School of Education), and an M.A. in musicology and a Ph.D. in music education from the University of Minnesota. She is currently on the Editorial Board of the Journal of Historical Research in Music Education, Journal of Research in Music Education, and Research and Issues in Music Education and pursues research on the history of music education, women in music, and music teaching in Meiji, Japan. 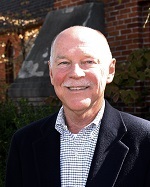 Dr. Howe has published Luther Whiting Mason: International Music Educator (Harmonie Park Press, 1997) and numerous journal articles and book reviews. 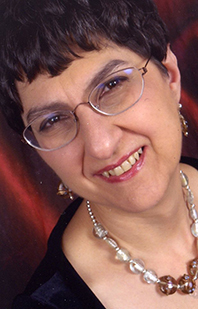 She is the Historian for the Minnesota Music Teachers Association and is active in the Society for American Music and the International Society for Music Education. Dr. Michael Mark is Emeritus Professor of Music at Towson University, where he also served as Dean of the Graduate School. Prior to that, he was head of the music education program at The Catholic University of America. He is the author of numerous books and articles on the history of music education and is an invited speaker at conferences, symposia and universities throughout the country and internationally. A Fulbright Scholar, he holds degrees from The George Washington University, The University of Michigan, and The Catholic University of America. He has been a consultant for the Baltimore Symphony Orchestra, the Peabody Conservatory of Music, the University of Maryland, and the Maryland State Department of Education. In recognition of Mark's contributions as a historian of the music education profession, he was inducted into the Music Educators Hall of Fame of the Music Educators National Conference. Allen Perdue Britton was a prominent figure in American music education and in musicology. Beyond his term as NAfME president, he also served as president of the Sonneck Society for American Music, was heavily involved in the Julliard Repertory Project, and worked on countless other boards and committees. Britton was band director in the public schools of Griffith, Indiana, and at Eastern Illinois University before WWII. Between 1943-1946 he served a two-and-a-half year stint in the Army, mostly playing in dance bands at service clubs, and he served with the military police in the Camp Custer German prisoner of war camp. Britton received a B.S. in Instrumental Music, M.A. in Education from the University of Illinois, and a Ph.D. in Musicology from the University of Michigan. He was the founding editor of the NAfME Published Journal of Research in Music Education. While at Michigan he was also director of the University Division of the national Music Camp at Interlochen. He was dean and professor emeritus in music education at the University of Michigan School of Music. Professor George Heller was the first national chair of the History Special Research Interest Group of the Music Educators National Conference (NAfME) and was the founding editor of The Bulletin of Historical Research in Music Education (1980-99). He was the music education area advisor for The New Grove Dictionary of American Music(1986). 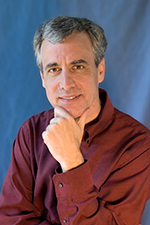 Heller remains active in the music education profession as both a researcher and writer, and he continues to serve in professional organizations. He is on the Editorial Committee of the Journal of Music Teacher Education of the NAfME and is Editor Emeritus of the Journal of Historical Research in Music Education. 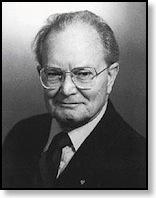 In February 2003, the Kansas Music Educators Association inducted Heller into its Hall of Fame. This website is hosted by Georgia College, in Milledgeville, GA.